Iranian and US scientists have built a database that brings together global data on heatwaves and warm spells between 1979 and 2017, including information on intensity, duration, and frequency. 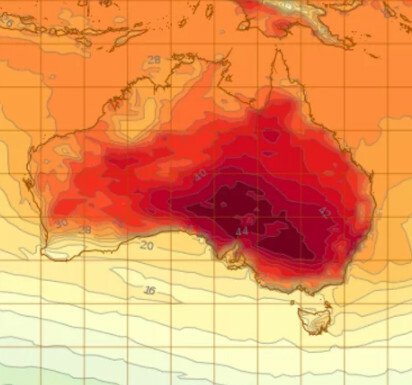 The Global Heatwave and Warm-spell Record (GHWR) will be accessible to all researchers, allowing them to make comparisons between different regions or time periods, and across many heatwave definitions. Although global warming is likely to increase the frequency and severity of heatwaves, the lack of single definition for what constitutes a heatwave hinders research and can make it difficult to compare past and present heatwaves. Heatwaves are some of the deadliest natural hazards in some regions and can damage infrastructure, reduce crop yield, and stress health systems. The researchers put together an extensive data record on the occurrence of heatwaves and warm-spells from 1979 to 2017, including information on intensity, duration, and frequency. It is based on data from the Earth System Laboratory at the National Oceanic and Atmospheric Administration (NOAA) and developed a standardized metric to identify heatwaves and warm-spells. The inclusion of warm-spell data is important as such events can also have significant effects yet are less well-studied than heatwaves. Researchers can access the GHWR to make comparisons between different regions or time periods, and across many heatwave definitions. The authors conclude that the GHWR provides a useful baseline resource that may increase the understanding and prediction of future heatwaves, potentially leading to improved early warnings and more effective interventions to help affected populations.